If you’re into classic cars, motorcycles or boats, you should check out the 5th Annual Ventura Motorsports Gathering. The Ventura Sports & Race Car Club are proud to present the 5th Annual Ventura Motorsports Gathering 2012. 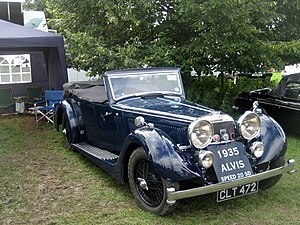 We are pleased to announce Italian Automobiles, Motorsycles & Classic Wooden Boats as the featured Marque at this year’s event on July 15, 2012. Applications are now being accepted for Classic Sports and Race Cars, American Classics and marques from all other countries will be accepted. Children under 12 years of age are free. Looking for something to do this Sunday in the 805? Check this Classic Car Show out!